Mike is on his way home: Free at last! Mike Treen (right) was farewelled at Auckland Airport two weeks ago by Kia Ora Gaza organiser, Roger Fowler, and other friends and supporters. 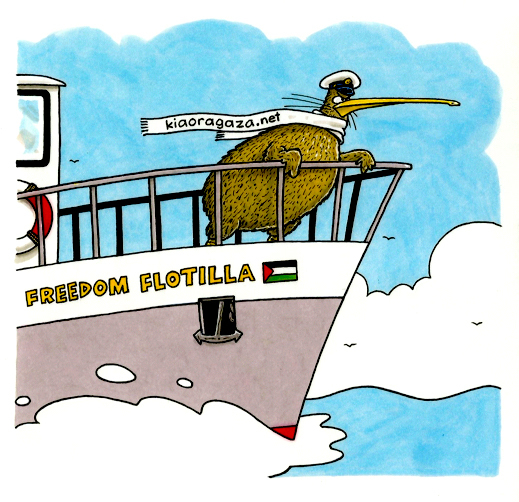 Our Kiwi representative on the 2018 international Freedom Flotilla to Gaza, Mike Treen, is due to arrive back tomorrow at the Auckland International Airport. If you can, please join the big warm welcome at the Arrivals area at 12:00pm (midday Thurs 2 August). Mike is a highly respected human rights defender and the National Director of the Unite Union. 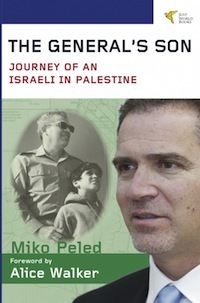 Facilitated by Kia Ora Gaza and supported by his union, the CTU, and many hundreds of generous New Zealanders, Mike joined dozens of other prominent human rights activists from around the world on the 2018 international Freedom Flotilla, to bravely challenge Israel’s illegal and inhumane 11-year blockade of the two million Palestinians confined in the tiny Gaza Strip. The leading boat, the Al Awda, was unlawfully hijacked and boarded in international waters by armed and masked Israeli soldiers on Sunday. Mike and others were bashed, tasered, tightly handcuffed and roughly manhandled off the boat during this blatantly illegal act of piracy on the high seas. All communications were cut, and the boat was forced off it’s course to a port in Israel, where the crew and passengers have been unlawfully detained and interrogated for several days, before being deported. 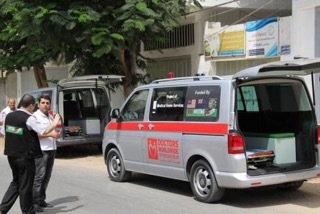 The boat and cargo of essential medical supplies destined for Gaza have been illegally seized. All equipment and belongings have been confiscated. 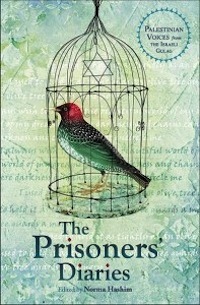 Most of Mike’s belongings have been stolen by his captors, including a sum of money. Kia Ora Gaza and supporters mounted a campaign calling on the Foreign Affairs minister, Winston Peters, to intervene and demand the immediate release of Mike [# Free Mike] and the others, the return of the boats and cargo, and an end to Israel’s cruel blockade [#Free Palestine]. Mr Peters failed to take a stand or even make a public comment on this outrageous attack on peaceful citizens on a humanitarian mission in international waters.